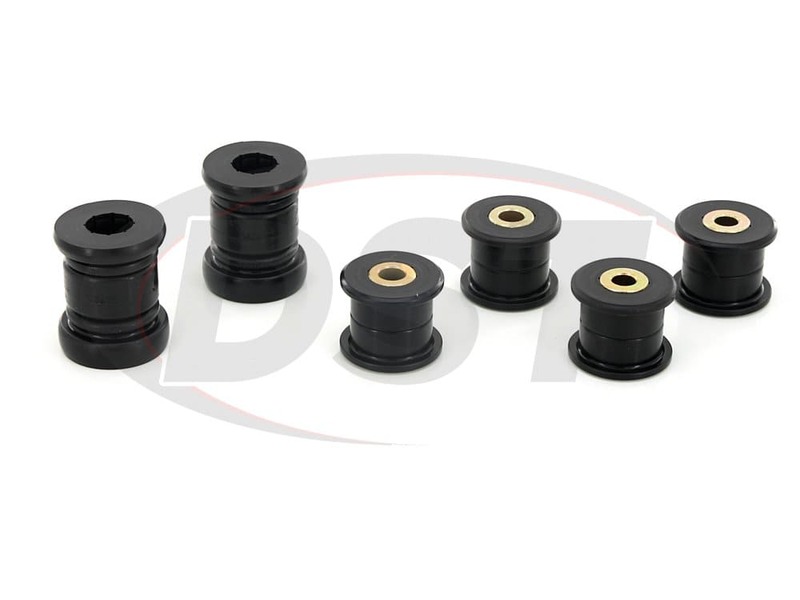 Replace the front suspension bushings at the same time to restore handling from the front to the back of the vehicle. Polyurethane. More comprehensive kit. Covers points that the Energy Suspension kit does not cover. starstarstarstarstar" Like night and day. " I have put quality lowering springs and sway bars on my civic and always felt like it was missing something. I found it in the front and rear control arm bushings. What a major difference in the feel and performance.  Like night and day. Extremely happy with the results, just wish I had done it sooner. Thanks for the fast service! Great bushings and my rear suspension feels great. 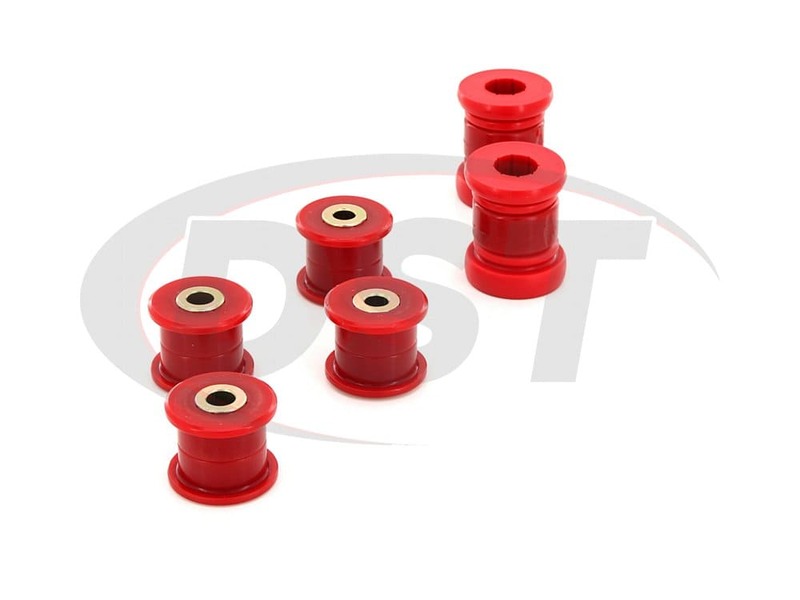 Need help installing your new rear control arm bushings? 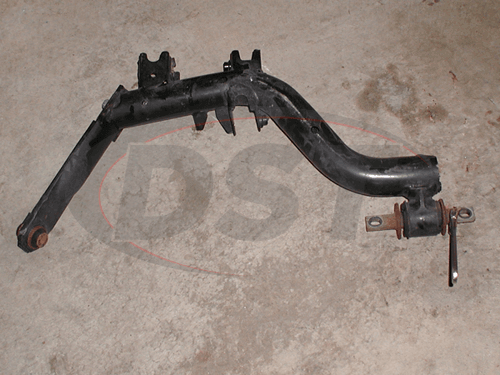 (Energy Suspension part number 16.3118) Here's a DIY for 16.3118 - Thank you Robert Clark for providing DST with this content! Jack up both sides of the vehicle and place on jack stands. Remove the rear wheels. 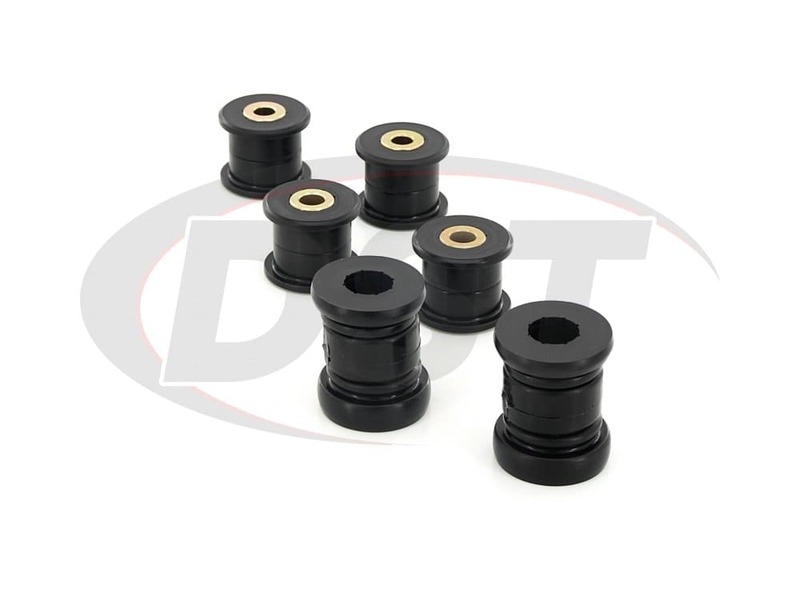 Detach the endlink from the control arms or the sway bar (hold with the 5mm Allen wrench on the inside and use the socket on the outside to loosen). There are 5 bolts for the control arm, loosen them in this order and leave them attached until you are able to loosen all of them: Loosen 2 bolts that hold the control arm to the brake hub. 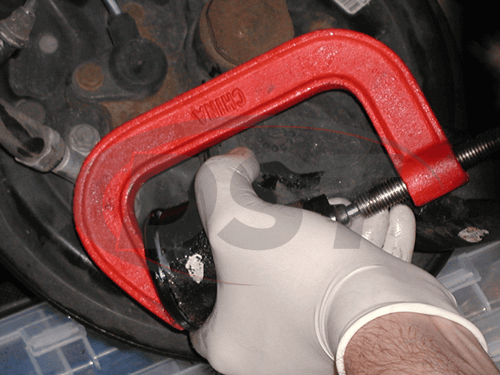 Make sure you have something to prop up the brake so the brake line doesn't break. 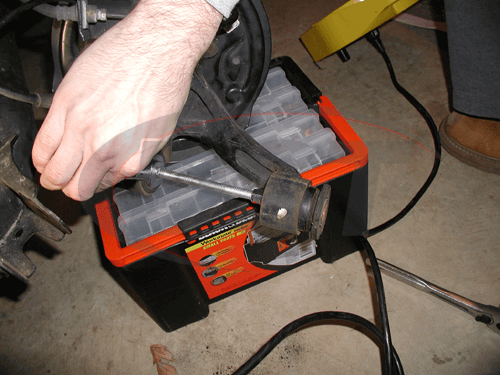 Next, Loosen the 2 bolts underneath the rear jack point. 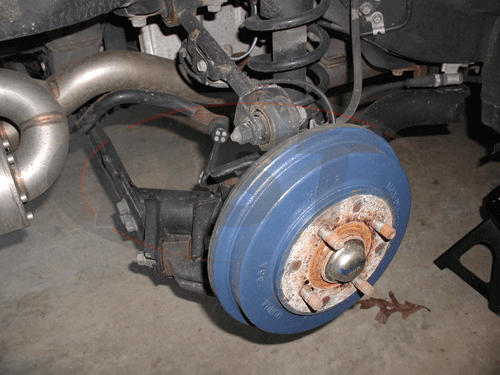 Finally, loosen the bolt that holds the control arm to the subframe (the one you can see from the back of the car). 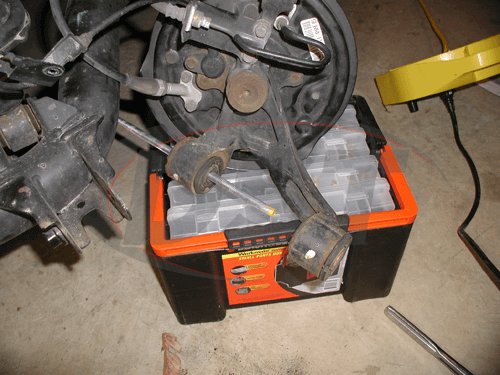 Once all of the bolts are loosened, remove all bolts, but keep track of what bolts go where. The control arm is now out. 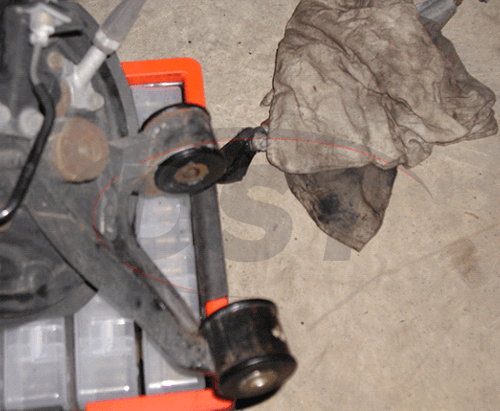 There are 3 bushings-2 attached to where the brake hub is and the one that is attached to the frame of the car (near the jack point). Start with the bushing near the rear jack point. You have to "break" the two handles out because they are glued in. The best way to do this is to put one side in a vice grip and grab the other one with an adjustable wrench. After they "break" you will have to wiggle them until they come out. After those pieces are out you will need a butane/propane torch to melt the glue and/or burn the rubber out enough until you can bang it out. Once it starts to loosen, insert a flat head screwdriver and hammer it out. Once the bushing is out, clean the inside of the hole. 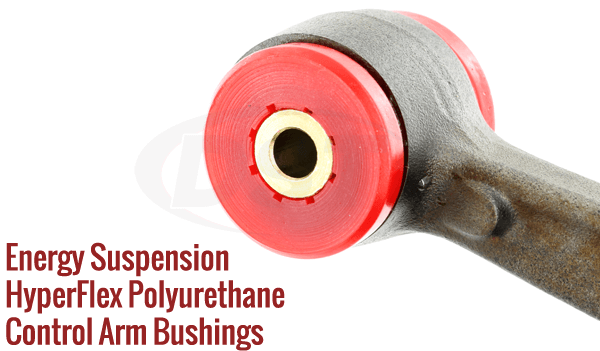 Now we move on to the other bushings. This is where you will need the threaded rod, nuts and washers. 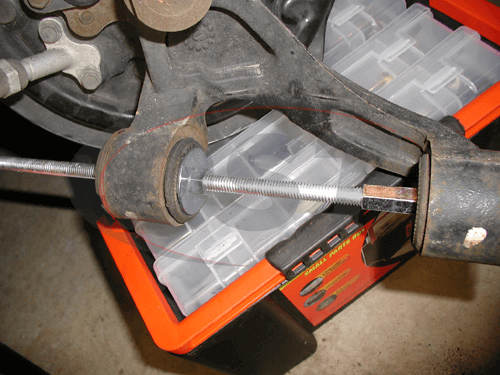 Insert the threaded rod through one bushing. Before you get to the other bushing, add the smaller washer and the small nut. Screw the smaller nut towards the bushing you just put the rod through. Add the larger nut to the other end and screw it all the way on and place that end on the other bushing. Screw the nut next to the washer to push he other bushing out. Repeat on the other side, but use the larger washer to fit over the bushing hole. Now it's time to insert the bushings. 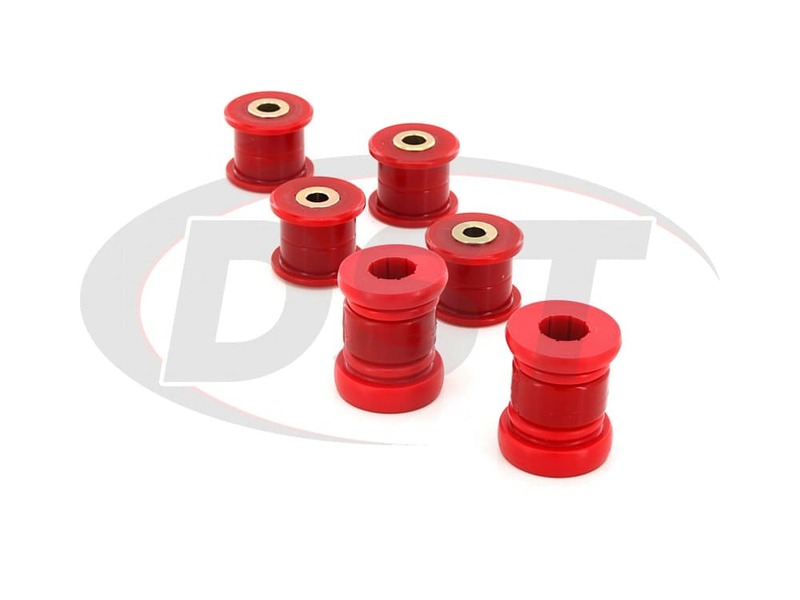 Lets start with the brake hub bushings. The bushings are the same but the inside middle piece is different. You have to match the right metal insert with the right screw or you will be forced to redo them. Make sure you follow the instructions. Grease up the bushings and insert them. Insert the metal insert (you might need a c-clamp to get it all together). There are 3 pieces for the bushing that attach to the near the jack point. Grease up the middle piece and insert it. Grease up the outer two and stick in the handles. Make sure to attach the handles in a way that will make it easy to screw into the car. Put everything back together and don't forget to torque everything down to spec. You are done installing 16.3118! More comprehensive kit. 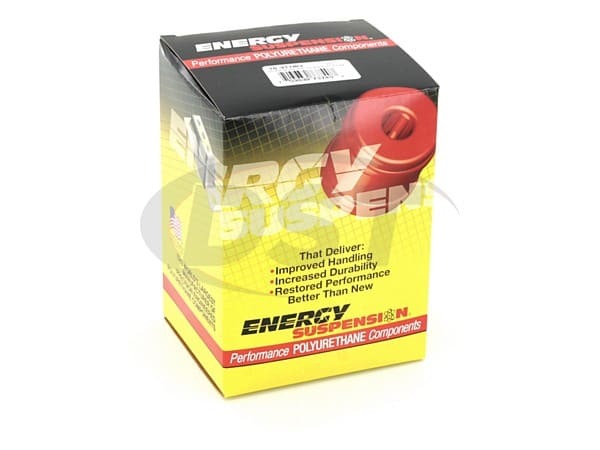 Covers points that the Energy Suspension kit does not cover. 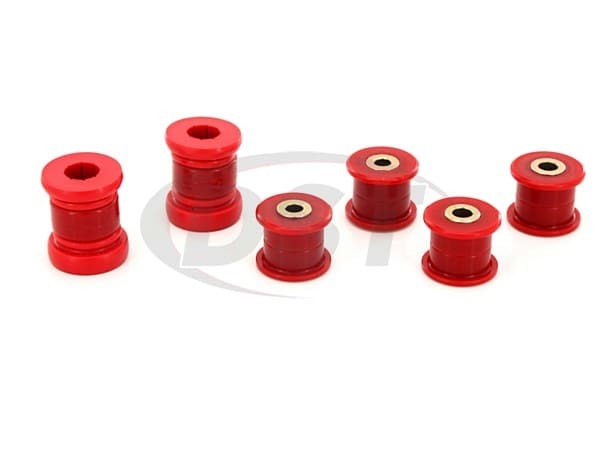 I recently purchased the rear control arm bushings 16.3118 for my 2001 Honda Civic and I am trying to install them myself but I am having difficulty removing the sleeve/pin on the control arm. Can you provide some suggestions to remove those flanges? Does this come with new hardware? No, with part number 16.3118 you will need to reuse the old hardware.